Yesterday was 70 degrees in Chicago. In April!!!!! I can’t tell you how lovely it was to be outside without a jacket, snow boots and a hat. I think that spring might actually be here to stay, no surprise snowstorms or 20 degree days until next winter! And this delightful warmer weather has me craving all sorts of lovely fresh flavors: asparagus, sugar snap peas, fresh and bright salads and anything with lemon. It’s also the season of Easter, Mother’s Day, Graduations and First Communions. Which means parties, dinners and brunches. 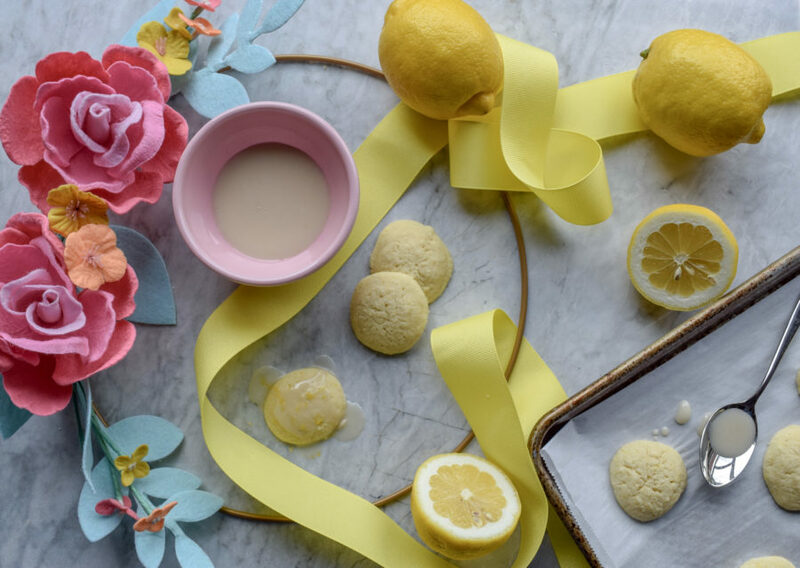 And I think no springtime celebration is complete without some sort of delicious lemon dessert. 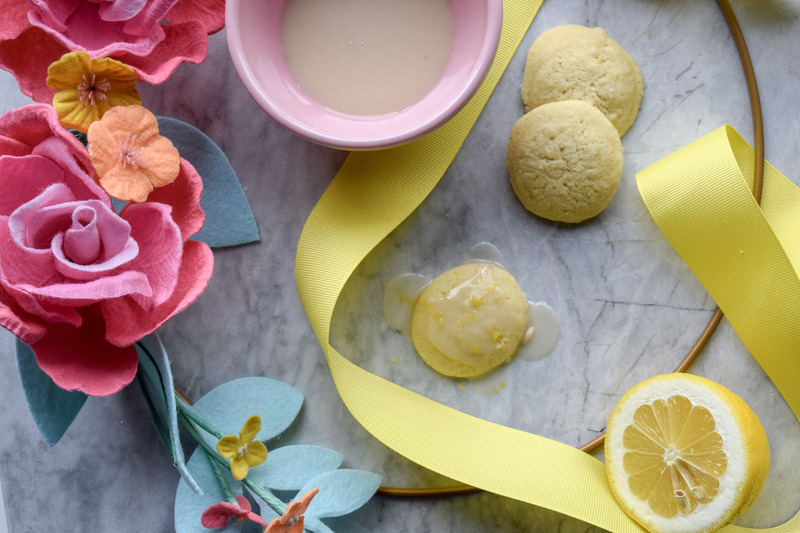 So, why not make some irresistible lemon cookies? These little babies I first created years ago for Enjoy Life Foods in a completely allergy free version using their flour blend. They have since stopped making their flour (boo!!!) but not to fret! You can use your own gluten free flour blend (I have my fave listed below) or use your favorite from the store. These are melt in your mouth soft with just the right amount of tart from lemon. They aren’t terribly sweet, which I always prefer, and they are adorably tiny so you can grab a couple and pop them in your mouth. Happy Foods are the Best Foods! 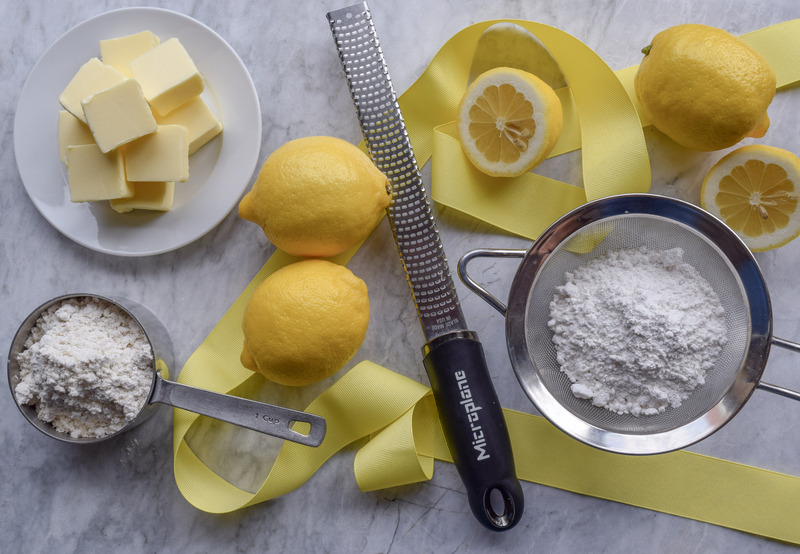 Whip together the softened butter/butter sub and the powdered sugar with a hand mixer until fluffy. Add the lemon zest, egg/egg sub and vanilla extract. Mix until blended. In a separate bowl whisk together the gluten free flour blend, tapioca starch, baking powder and fine salt. Add to the bowl with the butter mixture and mix until smooth, about 30 seconds. Add the 3 T. fresh lemon juice and mix until all blended, about another 30 seconds. Scoop out by tablespoon and bake for 8-9 minutes until the outer edges are just beginning to brown. To make glaze whisk together the 1 c. powdered sugar and lemon juice, drizzle over the top and let set about an hour.